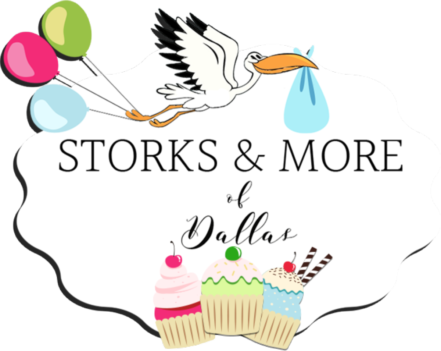 Storks & More of Dallas is a birth and birthday announcement yard sign rental service. The birth of a new baby is one of the most exciting times in a family’s life. 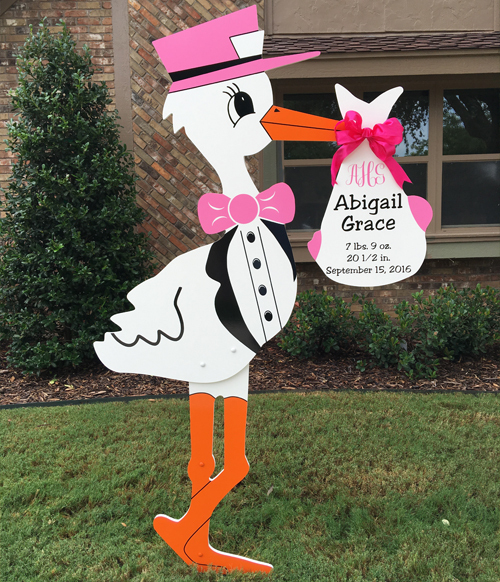 What better way to celebrate than with the rental of one of our 6ft storks or 4ft sailboats that announces the birth of your new baby to friends and neighbors! 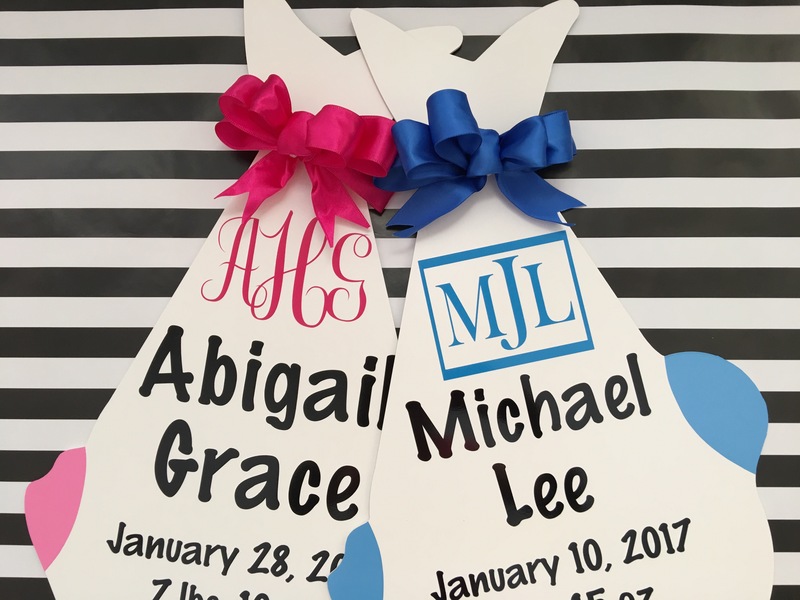 Each sign rental comes with a keepsake bundle that includes the baby’s name, birth date, weight, length and optional monogramming. Involve older siblings with their very own personalized sibling sign star that announces they are a Proud Big Brother or Proud Big Sister! 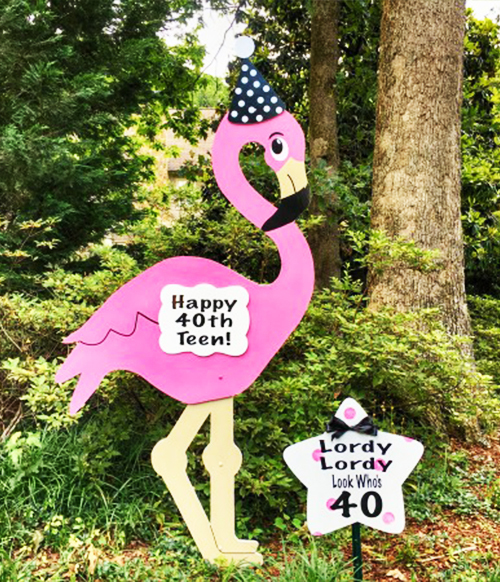 For that special birthday, young or old, our 4ft birthday cupcakes or 7ft flamingo with interchangeable toppers are a unique and fun way to celebrate your loved one’s special day! Our signs include a personalized message plaque that the recipient keeps at the end of the rental period. 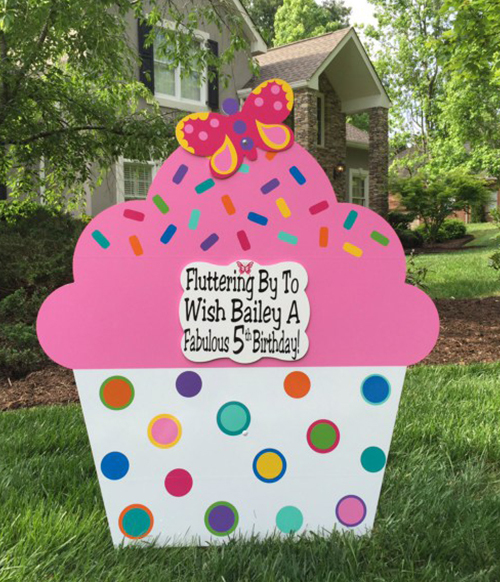 Let our beautiful Stork Signs announce the arrival of your new baby! Celebrate your loved one’s birthday with our oversized 4ft cupcakes! “Flock the yard” with our fun 7ft flamingo or flamingo package!